Employer's note: We encourage our local team to be in the office 2-3 times a week for our standup and other team meetings. 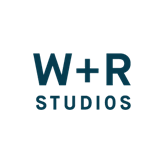 W+R Studios is seeking a Senior Developer with advanced Ruby and Rails skills to play a key role in a growing, agile product development team. This person will work with our team of programmers, designers, project manager, and senior management on existing and new web and mobile apps for the real estate industry. The primary goal of this person will be to develop new products, features, and fixes for our subscribers. This position will be based out of our Huntington Beach, California headquarters. Write clean, performant code for our current and future web apps. Collaborate with the rest of the product development team to ensure projects are moving forward on the desired timeline. Work with project manager to prioritize tickets and complete new feature and bug requests. Take ownership in the work that you release and be responsible to monitor and fix issues as they arise. Proficient with full stack Rails development, including SQL, HTML, and CSS. Proficient in TDD with RSpec and Capybara. Proficient in use of git and Github. Experience working with a variety of web APIs. Experience working with agile web development and design teams to get real apps into production. Passion for the craft of product creation and development. The ability to proactively determine work that needs to be done without a direct assignment. 4+ years of full-time work experience required. BS or MS in computer science or related major is preferred. We have a team of roughly 10 engineers spread across multiple projects and products. We have recently made a clear distinction between our frontend and backend teams, focusing on the responsibilities related to serverside and clientside tasks. Our back end team focuses on application and business logic architecture, providing API's that our client-side applications can utilize. Our frontend teams focus on client side framework architecture and design in order to take advantage of the modern browser capabilities and provide the best user experience possible. Want to get notified about new jobs at W&R Studios?